Are you feeling overwhelmed choosing the right Barre Teacher Training for you? Not all Barre Teacher Training programs are created equal! You want something that will be worth your time, money and energy that gives you the tools you need to teach Barre effectively. How can you differentiate between instructor training programs and which ones will provide you with these tools? When evaluating these programs, remember that the purpose should be education. When you begin teaching classes, you need to be prepared for any situation or student issues. You should feel comfortable using appropriate terminology and providing corrections that emphasize safety. You may also want a to look at a program that provides you additional resources such as class designs, music suggestions and continued support, but are these recourses included in the program or are they only available you for additional fees? Where do you see yourself teaching barre as a certified instructor? If you simply want the certification to gain CEC’s, add to your teaching credentials and use the information to help you grow as an instructor, make sure that is what you are signing up for. If you want class outlines or support as an instructor, do your homework to compare fees and programs. Some offer additional support and some do not. Additionally, it is important to consider how much flexibility you would like as an instructor. Do you see yourself offering barre classes at your local recreation center, YMCA, dance studio or small boutique studio? Make sure you will be allowed to take your certification and material to these external facilities by checking with the HR or Facilities Director. What background or experience do you have that will give you an advantage as an instructor? Is your background in ballet or dance training? Have you studied dance or taught dance classes for years? Your background will be incredibly beneficial to you because you will recognize proper body placement in your students. Your students will look to you for ballet terminology and explanations of positioning and posture. Do you have experience as a personal trainer? You will have an advantage because you will be able to help prevent injuries by encouraging students to perform exercises safely. You will also be able to answer student’s questions about the physiology of barre and why certain exercises engage certain muscles. Your students will trust your expertise when they have an injury or need a modification. Are you certified in a different type of group fitness? 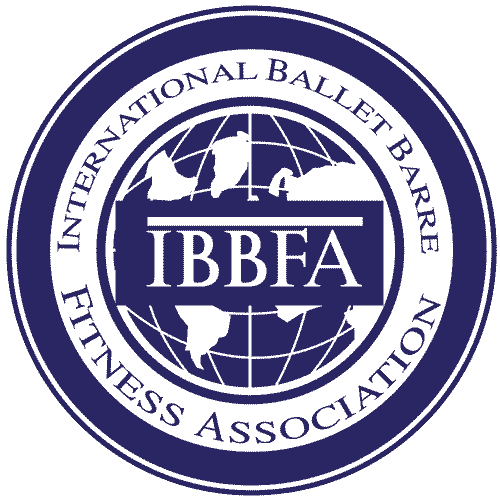 Many certified barre instructors come from some other field within the fitness industry, ie, pilates, yoga and Group X. The advantage you have as a group fitness instructor comes from your ability to lead a class during complex movements, all while reaching a wide range of ability levels. It takes a lot of practice and awareness to be able to count down from one set to another seamlessly. Additionally, you can incorporate barre exercises directly into other classes such as yoga, spin, or cardio/tabata. Working the small isometric movements and long stretches from barre into other exercise forms is a great way to cross-train your students- even within the same class! Do you have an academic background in sports medicine, kinesiology or nursing? Your unique advantage is the ability to translate why the body needs the type of movement used in barre. Some students take barre classes not understanding why it is so effective or what the shaking is when holding a static position. You can directly reference the muscles needed for each exercise and what those muscles are used for in other daily activities- like using your lats to stabilize the wheel of the car while driving. Is online or in-person training best for you? It is critical to evaluate this question before beginning your certification process. If you feel confident in your background in any of the areas listed above, it is likely that online training will be sufficient. If the training dives right into the material, there will be parts of the training that you will easily grasp and you can focus on the sections you are less familiar with. These topics would also be covered during an in-person training, however, the focus will likely be on choreography and putting exercises together. Make sure the point of exercise training is understanding the WHY of each exercise. Having a full repertoire of exercises is nice, but if you don’t know what the targeted muscles are or what populations need modifications, you may not be equipped to teach a safe Barre class. You will likely notice that many Barre studios and franchises have unique names for their exercises or poses. The use of created names for these positions essentially eliminate the need for knowledge of ballet terminology and definitions. However, this defeats the point of using barre as a form of exercise. Ballet based exercise is meant to use small movements to isolate muscle groups for intense bursts of effort with low anatomical impact. That is to say, barre without ballet is no longer effective or safe. When introducing barre to new students, instructors should emphasize the importance of working in a small range of motion and maintaining proper posture throughout class. If barre instructors around the world are not educated in ballet basics, how do we expect them to share this knowledge? The desired affect of barre is to obtain the dancer’s long, lean physique. The physique, as any dancer can tell you, comes from years of disciplined practice. This is not to say that you must have the years of ballet training mentioned in order to teach barre effectively. Instead, as an instructor, it is your responsibility to educate yourself on correct body placement in every exercise. Additionally, the use of ballet terminology validates your knowledge of the base positioning for each exercise. This is a big decision! If you know where you will be teaching, feel confident you have the training or experience to support your barre education, and know what format you will thrive in, let’s begin! BarreCertification.com provides a comprehensive written manual to all instructors that sign up for the course. This 100+ page manual includes 10 chapters on ballet terminology, posture and form, exercise explanations, step-by-step photographs of exercises, modification options and suggested options to challenge students. Accompanying the written chapters are video lectures from training workshops that put you right in the middle of an in-person training (without the price tag and from the comfort of your own home). There are also complete video demonstrations of every exercise, the modification to decrease the intensity and the options to increase the intensity, all focusing on proper form and safety. Once an instructor has made it through all the provided material, there is a multiple choice written assessment and a practical video exam. An experience master reviewer, with years of ballet and fitness experience, views the video exam and provides detailed notes to provide the instructor with helpful feedback. If an instructor needs additional support, the BarreCertification team will conduct a Skype session to complete a review. The certification process is just the beginning because once an instructor is certified, they have access to class outlines that offer a variety of new exercises, video demonstrations of the outlines, playlists that accompany the outlines, a podcast that is exclusively for working barre instructors in the industry, and a forum for instructors to support one another. The growth of an instructor never ends. The Barre Certification program has created specialized courses to add on to the Level 1 foundation. Certified instructors are encouraged to continue their education through additional courses. The provided materials are listed above as a reference when making your certification decision. We know there are many choices out there for this process and would love to serve those that think the online format is right for them! Please call us: 1 (888) 215-0101 or email: info@barrecertification.com for more information or inquiries.